Backyard Castle | Habitat | Kids VT - small people, big ideas! Some kids have a backyard fort. 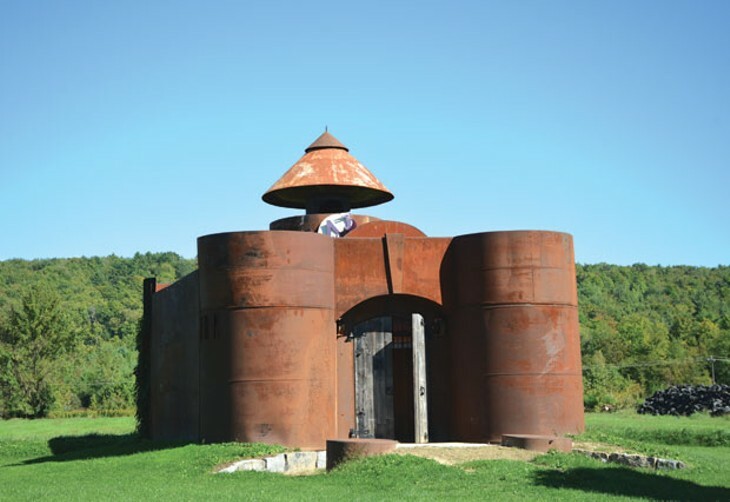 The Nop family has a backyard fortress — a giant metal castle measuring 40 feet high at the top of its lookout tower. From the drawbridge to the dungeon, it was all the brainchild of dad Louis Nop, who runs Nop's Metal Works out of their Middlebury home. Built in 2010, the castle was inspired by a family vacation to Ireland. "We saw a lot of castles," says Nop; he thought it would be fun to construct one of their own. "I hoped that it would get [the kids] interested in what I do. That hasn't happened yet," he says, laughing. "They're interested in the product, not the process." Even though three of Nop's four children are now into their teens, the castle gets plenty of use. Every summer, the family hosts a "Castle Concert" for 150 friends and neighbors. And Nop is happy to report that his kids still hang out and occasionally play make-believe in the castle. "I think it's important to imagine," he says. "Creating and imagining are underrated." And in that way, he says, envisioning and building the castle was "as much a project for me as for them." 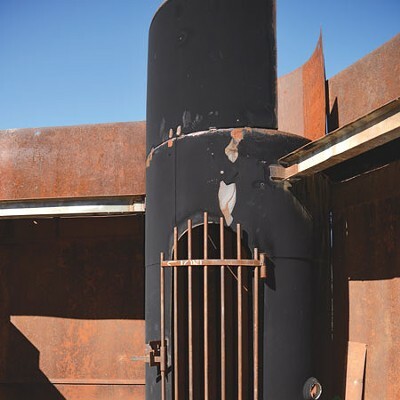 The castle is made entirely from recycled steel tanks that Nop got from local farms for next to nothing. 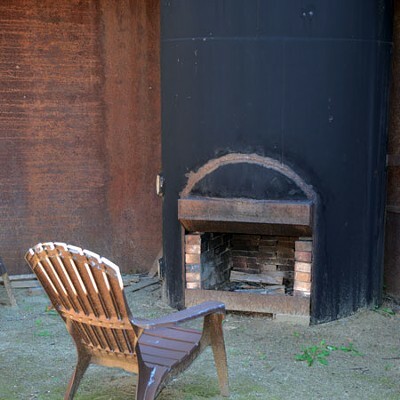 Three Adirondack chairs are stationed around a fireplace inside, over which the Nops roast s'mores. 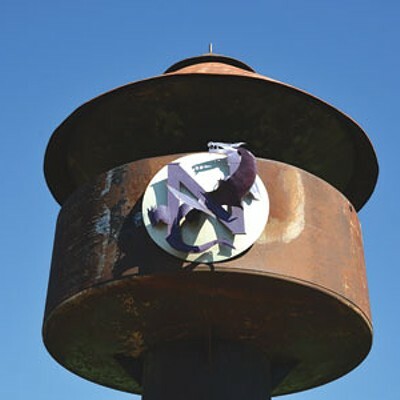 Nop's son Jake designed the dragon-inspired coat of arms mounted on the lookout tower. In the summer, Nop and his sons drag mattresses up to the castle turrets and sleep under the stars.